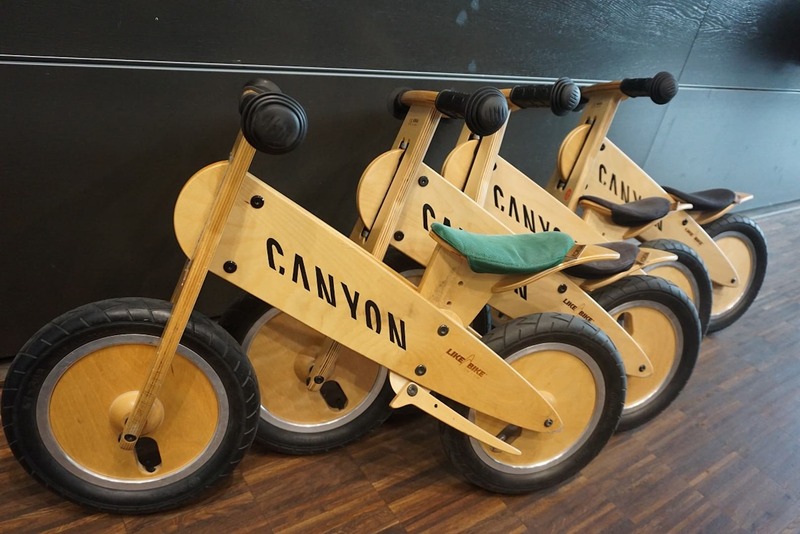 In part 1, Sanny got up close and personal with Canyon Bicycles Koblenz HQ. This time round, he gets to find out about the new cross country racer, the LUX and sample the local trails, German style. After a whirlwind tour of Canyon’s manufacturing and testing facilities, I realised that I had missed my favourite meal of the day – second breakfast! Fortunately, Thorsten appreciated that I have the constitution of a Hobbit and ushered me to the in-house café before my sugar crash turned me into a grump. Joining us for lunch were Johannes and Julian, Product Manager Competition Bikes and Product Development Engineer respectively, who when they aren’t designing and testing the latest cross country models for Canyon as part of the wider R&D team, are riding the UCI XC marathon and stage race circuit. Julian and Johannes – just another day in the office. Affable and easy going, they have the wiry build of a couple of XC whippets. As my guides to the local trails later in the day, I make an immediate mental note not to try and hang with these guys unless I want to be on the receiving end of a game of break the journo! LUX – a familiar name completely redesigned. Fanfare please…the new LUX. Cooler than a Ford Gran Torino! 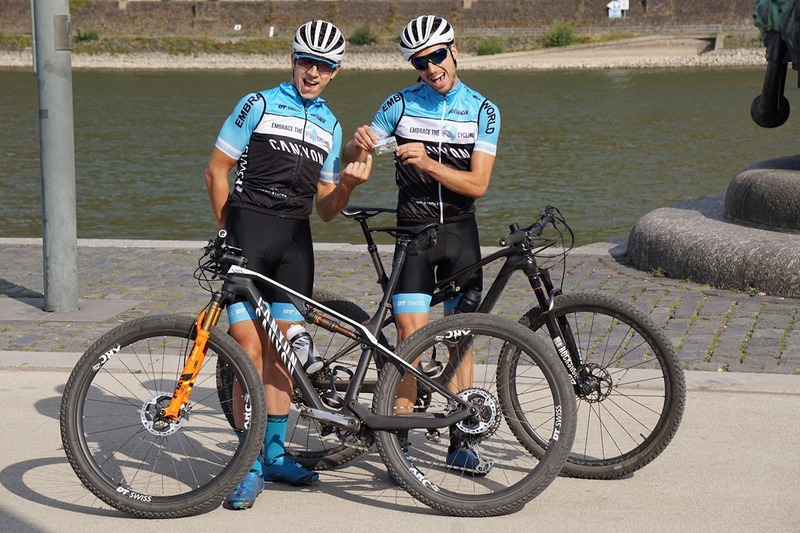 When the decision was made to redesign their lightweight XC Race bike model, the LUX, Johannes and Julian tell me they sought to build the best bike they could based on input from Canyon Topeak Factory Racing Team riders such as former World Champion Alban Lakata and their many years of racing on the XC circuit. Instead of launching into the almost ubiquitous Daft Punk-esque “Lighter, Faster, Better, Stronger!” sales speak that seems to come as standard with every new bike launch these days, we talk in detail about the thinking that went into the design process. 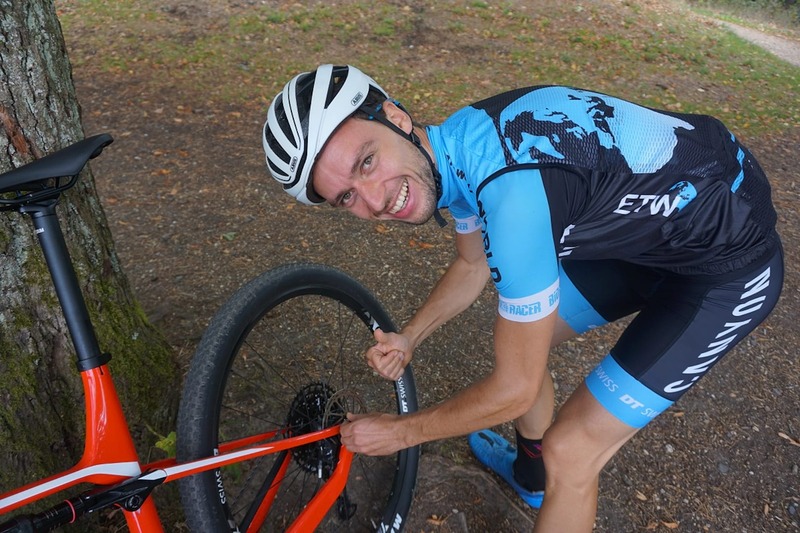 Through their own racing experiences and through daily contact with their sponsored riders, the difference between understanding and feeling what will work best for an XC racer becomes apparent. Is this the smallest chain guide ever? 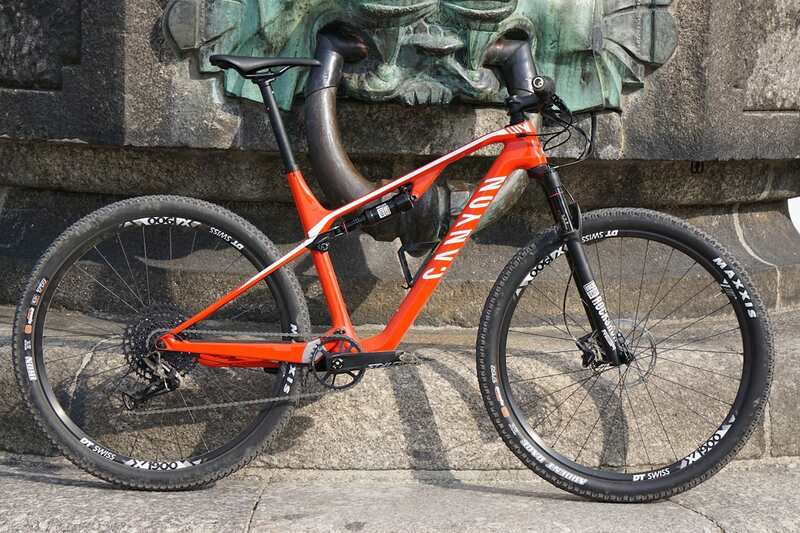 Since the last version of the LUX was launched, World Cup XC courses have become considerably more technical in nature while the requirement to have a bike that is lightweight enough to get up the often steep and technical climbs persists. 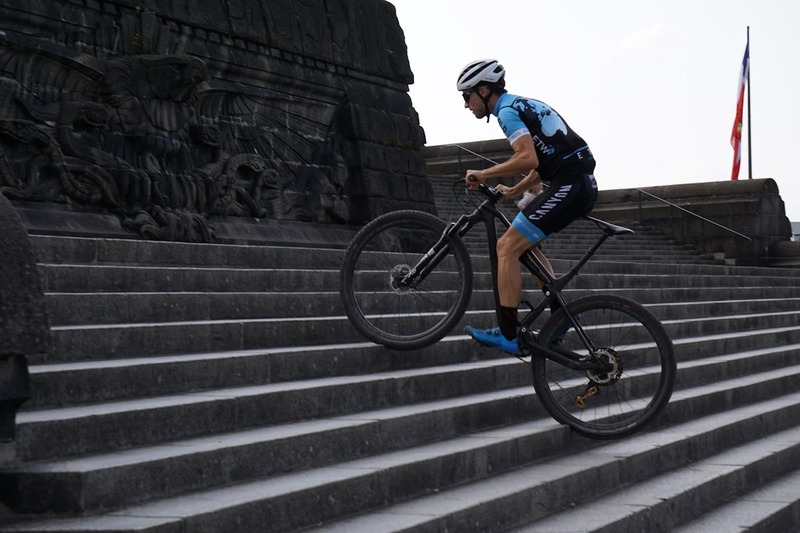 Another consideration was that not all courses require a full suspension race bike meaning that a rider who switches between a hard tail and a full suspension model shouldn’t have to adapt their riding position every time they do so. As such, the geometry of the LUX had to reflect that of its hardtail companion, the Exceed. 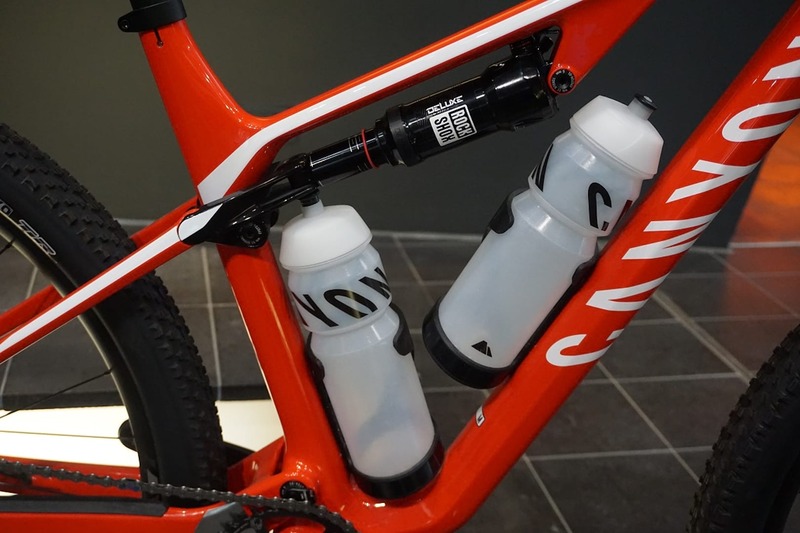 Last but by no means least was the requirement to be able to accommodate two large water bottles in the front triangle on even the smallest frame size. In races such as the Cape Epic, you aren’t allowed to take water outside the official water points. Unless you have the constitution of a camel, one water bottle just wouldn’t cut it. Never go thirsty again on a ride. First to change was the shock position. In order to accommodate two large water bottles using their in-house designed side loading cages, the shock was repositioned beneath the top tube. 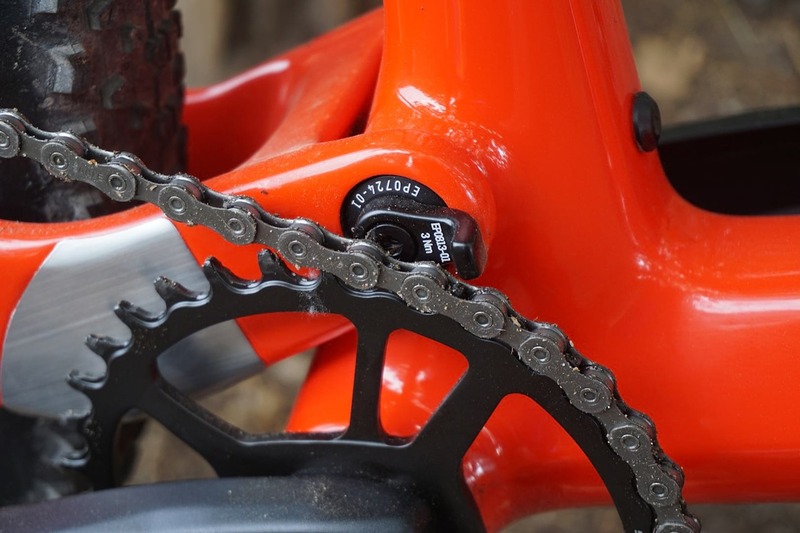 This allowed weight to be saved by eliminating the heavier rocker employed in the previous version while enabling the use of a longer shock with a lower leverage ratio than before. Consequently, the shock can be run at a lower pressure than before thus improving small bump sensitivity. 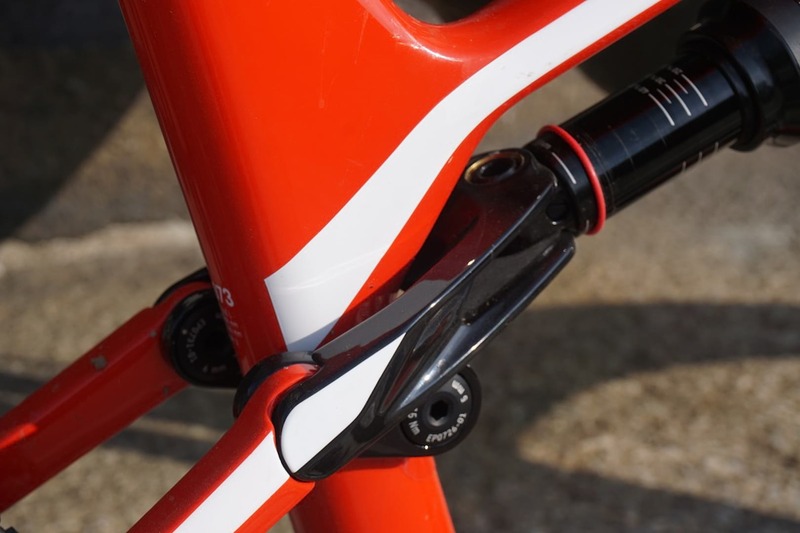 Designed in combination with a simpler flexible stay at the rear dropout and a small linkage design beneath the seat clamp, this enabled Canyon to engineer their triple phase suspension design, already found on the Spectral and Torque ranges, into the new LUX. Sensitive to small bumps at the start of the stroke, stable and supportive through the middle and progressively ramping up at the end of the 100mm of travel, the duo are keen to point out that the LUX makes good use of its full range of travel. A significant advantage of the new design is that with less leverage being applied to the shock, shock wear should be reduced. Of course, theory is all very well but I would have to wait until the ride later in the afternoon to find out for myself whether the lofty claims were borne out in the ride. With an eye to ensuring that the frame is built to last, bearings are located in the rocker and not the frame. Personally, this is something I applaud as frame inserted bearing are all well and good until something goes wrong. I’d much rather have to replace a rocker than a frame as the former tends to be an awful lot cheaper to do! Finally, in order to keep the riding experience the same irrespective of the height of the rider, all sizes of the LUX are designed around an 80mm stem. As such, a lanky fellow such as myself should experience the same ride sensations as the titchiest of fellow riders. Enough chat, now we ride! A nice way to spend the afternoon. With the sun shining, I welcomed the opportunity to see how the theory translated into practice as the boys offered to take me on a tour of their local XC trails. Changing into my baggies, I felt like I had brought a knife to a gunfight as my two guides appeared dressed in matching Lycra race kit. Trying not to be intimidated by the size of their thighs, my LUX was set up expertly for me by Thorsten before we headed out for a gentle spin along the banks of the Rhine. XC gnarr! Great in the dry, terrifying in the wet! Why is it that when you ride a bike for the first time that there are certain things you always do in quick succession? Pick it up to feel the weight? Jump out of the saddle in a ragged sprinting style that could kindly be described as ungainly? 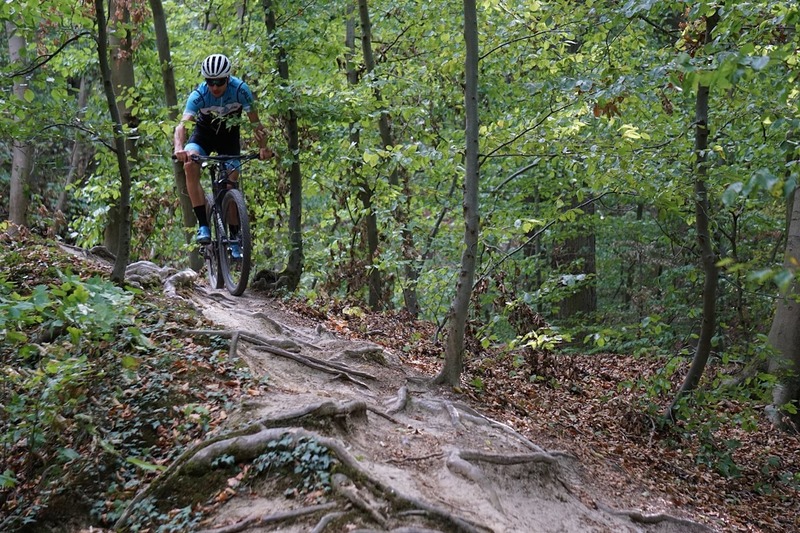 Aim for every rock and root to see how the rear shock feels as it soaks up the bumps? Skid the back wheel out? I was doing all of these classics and more. I have no idea why I do this every time. It tells me the sum total of nothing and yet still I persist. Must be the little kid in me itching to get out, I guess. Getting ready to drop in. Turning a corner, we spun our way up a road climb that soon changed to wide forest track. I resisted the urge to try and hang with the guys and just go at my own pace instead. 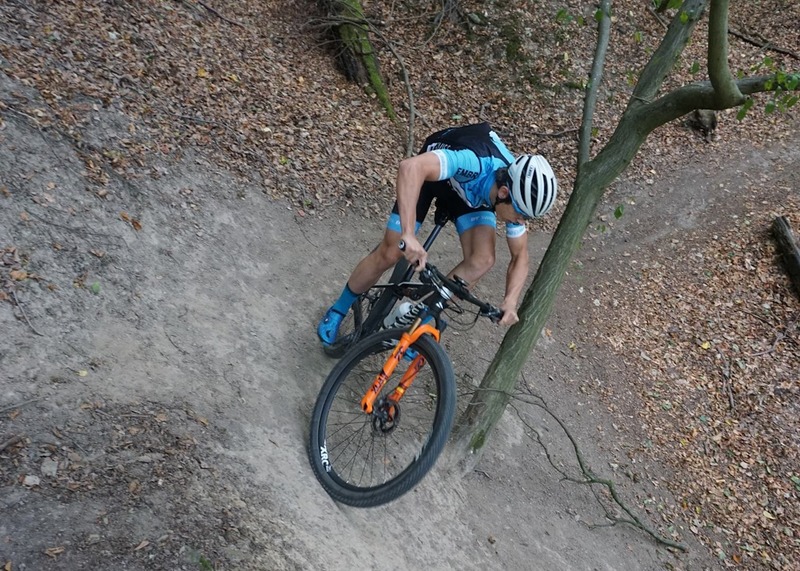 On a couple of steeper sections, I tried to manhandle the bike by getting out of the saddle but it merely translated into forward motion without complaint. While the boys zoomed off, I found myself just messing about on the LUX. Fast, out of the saddle spring intervals mixed in with relaxed spinning. I was having fun. I toyed with the idea of chasing them down but my sensible head soon kicked in. 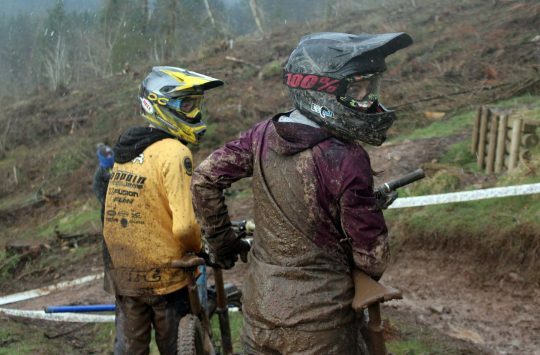 This wasn’t a race and if it was, my chances of winning it were pretty slender! So fast the greens have turned monochrome! I may have been on the cheapest of the range, the LUX CF SL 6.0 Pro Race, which comes in at £2,349, but I didn’t feel that I was at a disadvantage compared to the boys on their top end spec’d models. Besides, mine had by far the coolest colour scheme and as everyone knows, red bikes are the fastest! Chilling out at the top of the climb. Stopping at a viewpoint for a breather, the boys took great delight in showing me the oh-so dinky chain guide and Quixle rear axle lever which they helped design. I have to admit that as design features go, they are pretty darn neat. Johannes is clearly very pleased about his Quixle design! 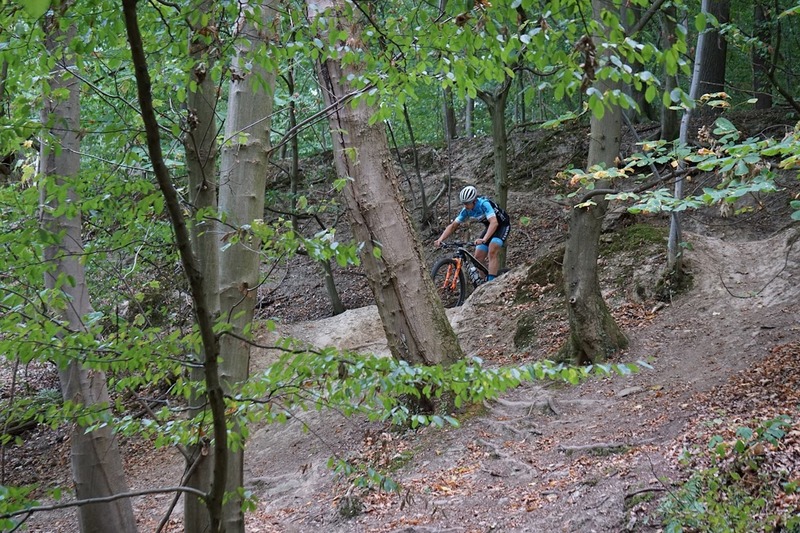 Dropping my saddle, we then proceeded to holler, whoop and grin our way down some mighty fine singletrack. 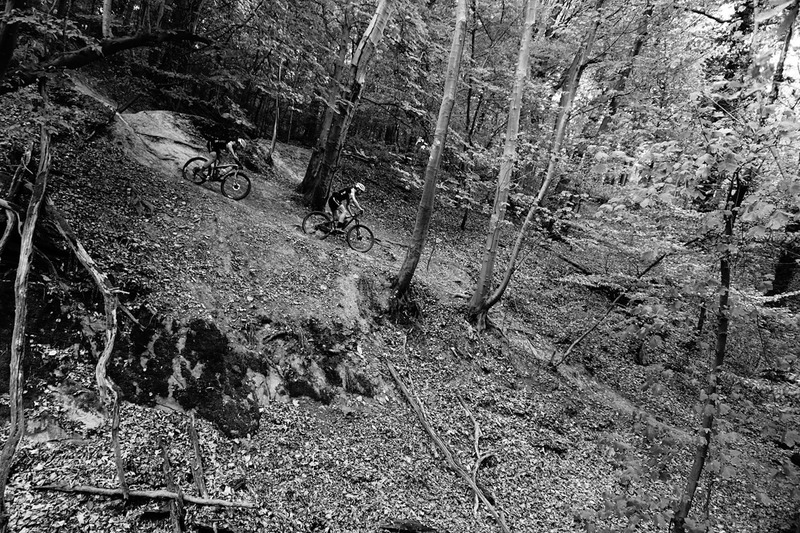 Alternating between narrow sections of trail, step-off drops, steeps and what can best be described as a banked rollercoaster of a trail, it was XC riding at its funnest. I could not help but feel more than a little jealous as my guides have this fine quality of trail on their own doorstep. I could happily have spent all day riding here. Koblenz is nowhere on the map of places to ride but on this short visit, I had seen more than enough to know that a return trip is in order. 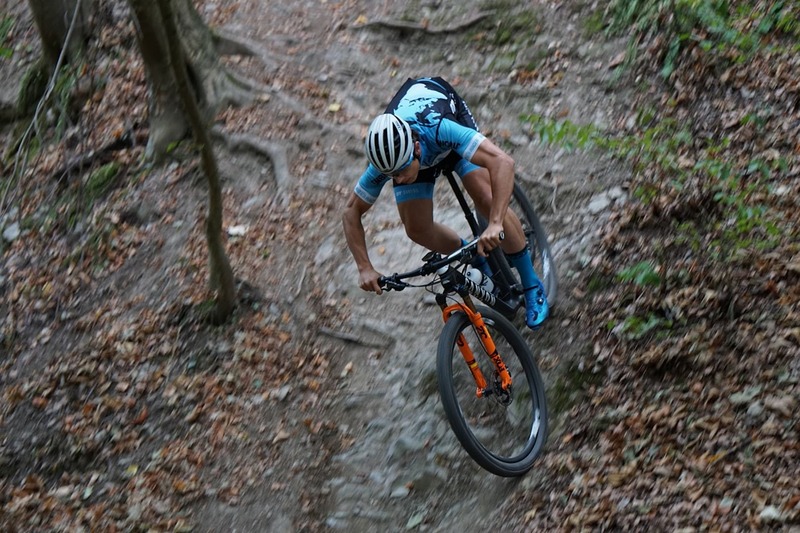 I laughed and hollered as I floated over roots and drops into some steep sections of trail that saw a local rider walk down on his longer travel Enduro machine. He may have been sporting a bike that was slacker and with longer travel more suited to the terrain but I was definitely the one having more fun. 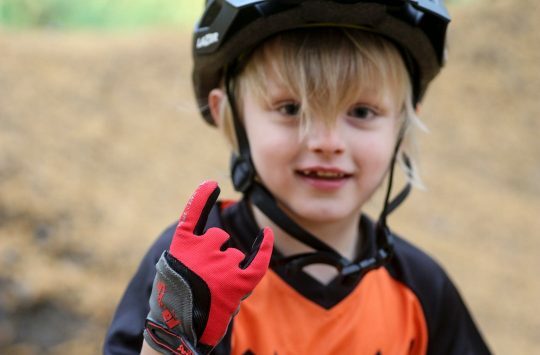 Classic “What Mountain Bike” photoshoot arms! Not being a bike test, I’ll reserve judgement on the bike for now but If I was to suggest a change then it would be the addition of a dropper post, an option that comes as standard on the top four models in the range. While the boys showed off their race honed skills by not dropping their saddles, I was happy to break out the Allen keys but a dropper would have been the better option. As for the colour scheme of red and white, slap my thigh and call me Huggy Bear. The LUX channels pure seventies cool with its Starsky and Hutch inspired colour scheme. 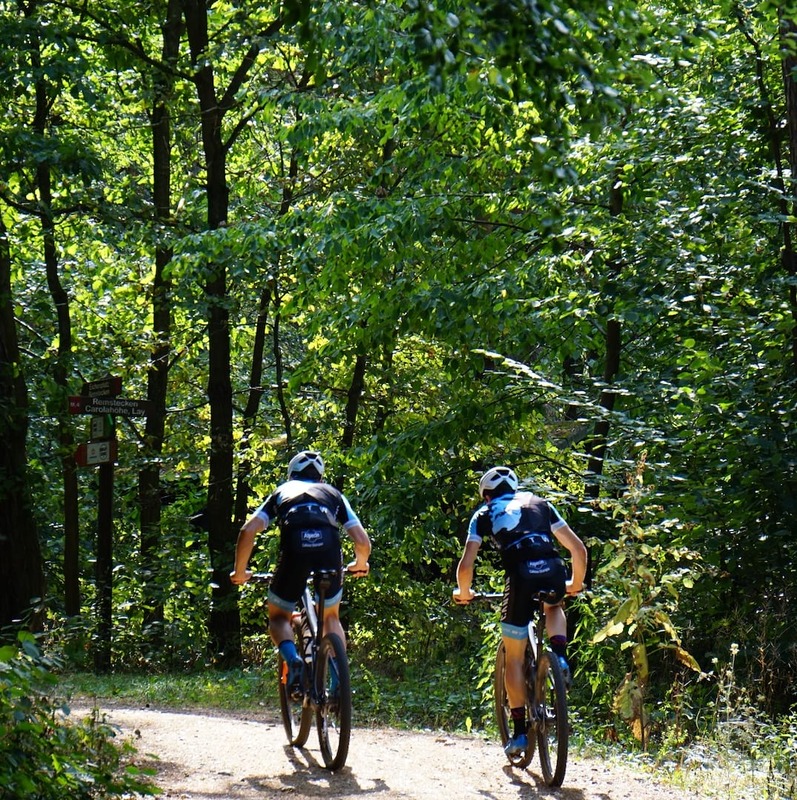 Leaving the trails behind, we spun along the picturesque riverbank cycle path that would take us back to Canyon Home. A brief stop at Deutsches Eck (German corner where the Rhine and Mosel meet) to take in the passing scene while testing the LUX’s technical climbing chops as we rode up the flights of stairs in the shadow of a statue that could only be described as quintessentially Germanic, was followed by an easy couple of kilometres back to base. 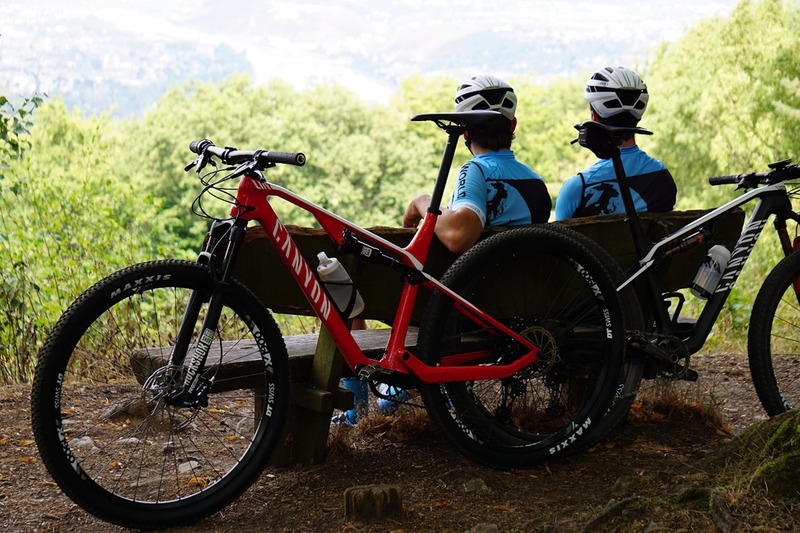 Meeting up with Thorsten, I felt slightly guilty that our ride had blown his impeccably planned and executed schedule for the day out of the water (we were well over an hour later than planned but in my defence the trails warranted my tardiness). That said, while having a coffee in the early evening sunshine as he waited for me to reappear, a potential customer who was testing an e-bike got chatting with Thorsten. Although not in the habit of doing the job of one of Canyon’s sales consultants, Thorsten clearly knows his onions as by the time I showed up, the customer was ready to hand over his Euros. So what do I make of Canyon? It’s hard not to be impressed by the near obsessive attention to detail in everything that they do from designing and building a bike, the testing regime, the manufacturing and assembly processes through to the damn fine cakes in their café. It is easy to be dismissive of the German stereotype of precision and attention to detail when it comes to all things engineering. Here in the UK, we will happily make jokes about it but I cannot help but feel that we are on the wrong side of the punchline. Living by the River Clyde, every day I am reminded of our long history of manufacturing and engineering. Glasgow led the world in shipbuilding and heavy engineering but no more. In their place are offices filled with financial service companies and bean counters. Is that progress? I’m not so sure. When it comes to manufacturing, UK companies take note. We would do well to take a leaf out of the book of our German cousins and seek to replicate their approach. Canyon would be a good place to start. 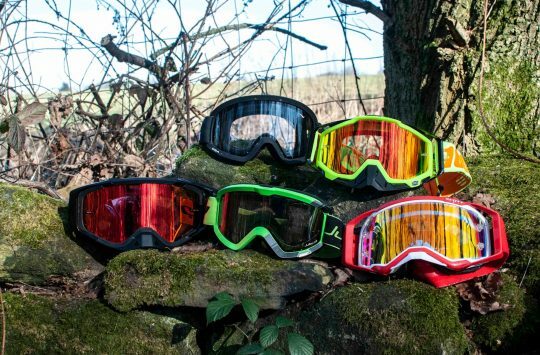 This article was produced in association with Canyon UK. A longer shock (in this case and most others) won’t change the air pressure required for a given weight rider (the air cans/springs are the same size). It will change the leverage ratio and increase oil volume, making the damping circuits more tunable and keeping the oil at a more consistent temperature. Don’t Canyon make their bikes in the Far East? Taiwan? What does that have to do with manufacturing in the UK? 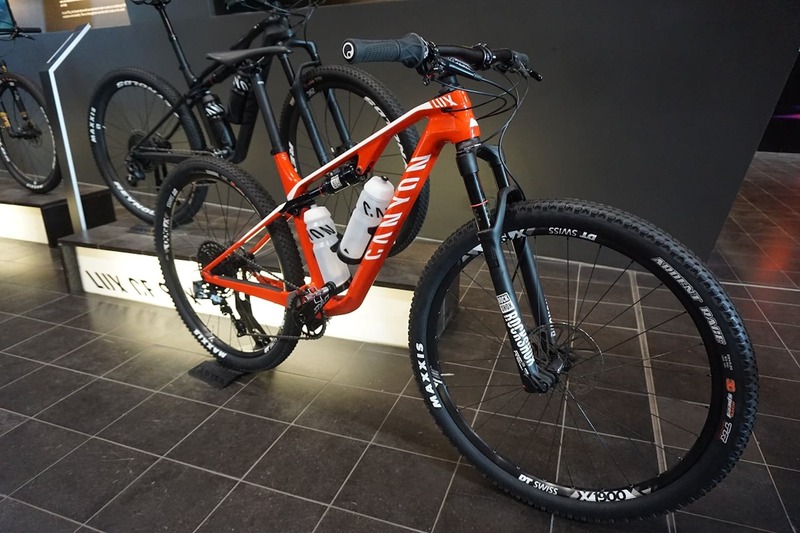 We can point to brands as diverse as Dyson, Whyte bicycles, Cotic and loads more – all designed here and manufactured overseas, possible in the same factory as Canyon. I really wonder where you are going with this. In fact just above this comment box is a piece about Halo wheels and their British Design. Where is their stuff made? The point is simple. German brands like Canyon value manufacturing and engineering in a way that we in the UK don’t. They have successfully managed to retain and nurture engineering, design and manufacturing skills in their home town in a way that we in the UK don’t. That is the real difference. Glasgow led the world in shipbuilding. Now we have only BAE Systems in the upper Clyde. We have lost those skilled jobs and the likes South Korea now lead the world instead. At one time, I did some work for John Brown shipyards. It was an incredible site to work in. The site is now home to a college and a crane which only welcomes tourists to go inside it. Far eastern manufacturing has become almost unavoidable. They have the processes, skills and technologies to do it very well indeed. However, we as a nation don’t have to outsource everything. There are opportunities still there to compete but collectively, we place more importance in the service economy and financial services. Dyson are a very interesting example. Their manufacturing base is primarily overseas. For example, their electric car base is in Singapore as they have the skills and manufacturing there which we don’t. While they are also growing in the UK with their proving ground facilities, most of their £2.5 billion investment is heading east. Singapore is not a cheap place to manufacture but they have the required skills and supply chain in place. If we actively set out to change our narrow UK mindset, I can’t help but think that we could bring much more manufacturing back to the UK. There are institutions that are trying to stem the tide; Strathclyde University being a leading player in this but we don’t yet have the momentum that will change attitudes. Fundamentally, I see Canyon as a great example of where we could be on a journey to bring manufacturing back to the UK. Based on my visit, they have a highly skilled and motivated workforce who are an integral part of their brand proposition. They invest in and value their people. Unfortunately, here in the UK, we appear to have settled on a model that sees us importing finished goods with our role mainly restricted to transport and retail. That doesn’t strike me as particularly smart. I believe we should be more ambitious in our outlook. Ours has become a fairly mediocre service economy. I believe we could do an awful lot better if we tried. Are you saying that Canyon manufacture bikes in their factory? I was of the opinion they just assembled parts there. If I have that wrong then I sincerely apologise. No need to apologise. They design, assemble, test, service and QC there. The frame building takes place in the Far East. My comparison with the UK is that Canyon, like so many other German brands, have not shipped their entire production process overseas. Not only have they retained the skills and knowledge but have actively nurtured and grown it. 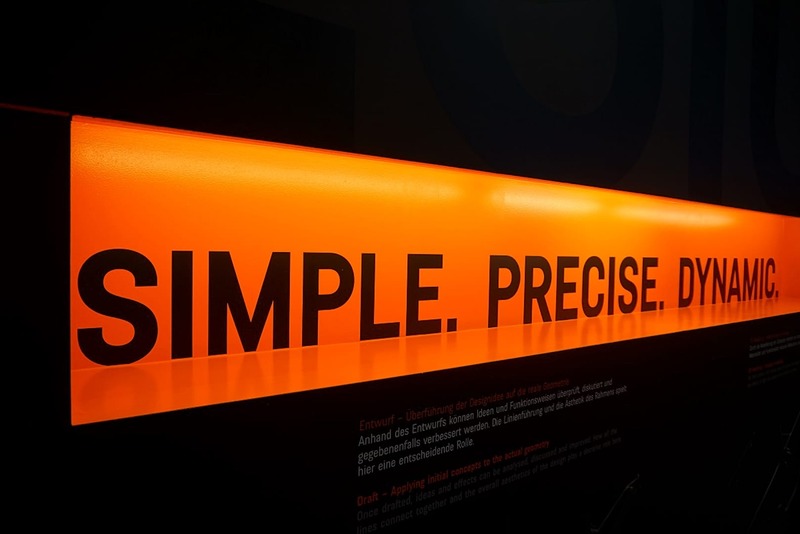 Their process design is a match for the aerospace industry. Early in my career, I had the opportunity to see several UK manufacturers at close hand. Their process design and attitude to their people was positively Victorian in comparison. This wasn’t a technology issue but one where they didn’t see the value in training and retaining their people nor in investing for the future. Most of them have since closed. My example of the Clyde is a microcosm of our British attitude. Ships are still being built elsewhere in the world. We shot ourselves in the foot and continue to do so. If we keep telling kids that the desirable jobs are in the likes of Finance, Law and Banking where we continue to pay the big salaries, we aren’t going to change anything. Phew! Kermodian rant over. I clearly need to go out and ride my bike! Ha! Ha! Its cheaper to assemble a bike in Germany than it is in Taiwan or China once your average bike value trips over something like £1000. You can do it cheaper in certain parts of the far east (Cambodia/Indonesia) but when you factor in the additional shipping, risks, QC etc. for a direct to consumer business it just makes a lot of sense to assemble inside the EU if your primary market is the EU. It is of course good if they’re investing in their people, but its not a financially adverse decision, unlike building ships in Scotland rather than Korea, which I am guessing was a primarily financially motivated move. Not saying it wouldn’t be great if the shipyards were all still there, but its apples and oranges in the comparison of the two as its a pretty easy decision for Canyon to make.